This game was created in collaboration with an Italian association and is part of a project for schools to teach children the importance of respect for animals. In this adventure the player controls Orazio, a big friendly cat who, with the help of his friends, must find a way to stop an evil multinational corporation from knocking down the cattery to build a motorway. All in the course of one night, during which Orazio will have to get up to all sorts of tricks to find a solution to the problem. The interface is in the classic "Sierra style", with the pop-up inventory in the middle of the screen and the icon bar with the basic interaction: talk, interact and look on the top. 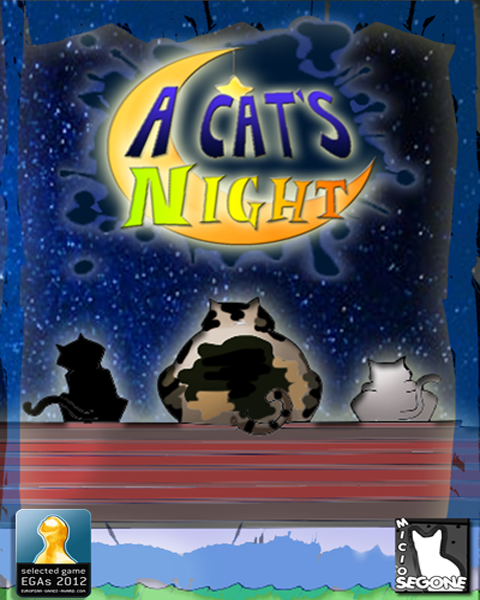 A Cat's Night was the first game developed with Adventure Game Studio nominated for the European Games Awards. It was also the first Italian game to receive a nomination in the "Best European Adventure" category.